I am a massive fan of Tonya's work. All those I have reviewed so far offer exceptional value for money and a number of quality designs. I was very interested to see a collection of 321 designs having bought a batch of undipped 321s to play with. This collection of PDFs is more than just a collection of designs. What is useful is to discover the ingenious ways Tonya has used such an odd shaped balloon. It will be interesting to see if the undipped 321s remain a stock item with Qualatex. I really do hope so as we are only just discovering the potential of 321s. An interesting design using 321Qs to construct the fins and the body. Tonya decorated her design with black stripes but I decided to leave mine in plain white. The fish will stand on its own by resting on it's from fins. This is probably a good design as part of a balloon display and with a little imagination other types of fish could be made using other colours. As with all these designs inflating the tip of the 321Qs can be challenging but it only takes a short while to get used to it. I am not sure if I would make this balloon in isolation and it is certainly not suitable for line work. When I first saw the photo of this design in the PDF I really thought it wouldn't be that good. I made the commitment to make every balloon which I did and I was actually quite pleased with this balloon. It grew on me and I now like it. However I am unlikely to make it ever again and the artwork is required for maximum effect. With this model the 321Q is used for the Beaver's body and tail. I absolutely love this design. The artwork on the tail is effective and this has the cute factor. In Tonya's instructions, the eyes have more definition and a nice surround of uninflated black balloon. It looks so much better. This is one of the best models in the collection. I am not so sure this looks like any kitty I know. In my attempt the white nose parts of too long and lack shape. Tonya's design is better but I still don't think it looks like any animal I know. Not the best one. This is a really nice reindeer and the photo really doesn't do it justice. Easily adapted to be any sort of deer and is simple to make. Here the 321Q is used for the body and neck. The heart shape face is effective and requires both lobes to be twisted which I remember as a beginner can be a bit of a struggle. This is one I will be making again especially around Christmas time. This photo is not particularly good. I really like the dragon head and is really a model that can be further developed. I would be keen to use the body and the head to make a dragon with legs rather than something to wear on the wrist. This one has potential. This dolphin is great although I made it in pink! The use of a hoop for a stand is a nice idea as the model is free standing. Perhaps a blossom base would add more stability - very nice model. An interesting lizard design. I am not an expert on lizards so I do not know how realistic this shape is but it does require artwork to make it lizard-like. The 321Q makes a nice tail shape as an extension to the body. I like this horse very much. The 321Q makes for a great head and looks good when tied back with an uninflated balloon. This is something that could be done for line work if you have a little extra time. This is the second lizard in this collection and in my opinion is so much better. I like the 160 legs as this raises up the body just like on a real lizard and it stands very well on its own. The use of artwork helps but if time is tight then just a plain green lizard in this design will work just as well. A lovely model and one I will be using. The second kitty in this collection and as with the first one I am not sure this looks like any kitty I know. It is some form of animal and the design can be easily adapted to any small four legged creature. This is not one of my favourites. This shark is great. A tapered body of various balloon sizes and a cartoon style face. With a choice of different colours and artwork a completely different shark can be created. Fairly easy and relatively fast to make so would be good for restaurant work. This seal has a lovely shape with curved body which the 321Q is perfect for but I have to say, the black colour doesn't do the design justice. A grey seal would look better but I don't think 321Q grey balloons are available. This is one you have to make to appreciate the design. A really good elephant and should be quick enough to make for line work. Again I would have preferred a grey elephant but alas no 321Q in grey. I have tied the elephant to a round balloon but then it doesn't stand up on its own. As always, a great review and many thanks for taking the time to review and post. I love Tonya's work too - always innovative and original. Shamed to say, I don't own this ebook (yet! sorry, Tonya) but from your review, the models do look good but appear to rely quite heavily on artwork (is that fair to say?) and some look like they don't 'need' to be 321s. For example - I can't see where the 321 comes in on the elephant model - apologies if I'm being thick but it looks like 1 or 2 260s?? I'm not trying to split hairs or be pedantic, but some of the models seem to use 321s where a 260 or 160 would do - is it a 321 for the sake of it, or could other 'gauges' be used equally well? I'm not meaning to sound rude (and I'm certainly not questioning of Tonya's skill), but I don't really see where the 321s add anything over the standard 260s/160s other that selling more of the more expensive Qualatex stock... :? I am pleased you are enjoying my review - hopefully I will finish it tonight. You raise a valid point about whether a regular 350/260 will do instead of a 321. I guess the answer to this is yes but you will need to use two or three balloons instead of just one 321Q. With the tapered shape of the 321Q when fully inflated it does mean you can use it for multiple parts of the model. As for the elephant, in fairness to Tonya's design both my technique and photo doesn't show the advantage of using a 321Q instead of a 260Q. The trunk of the elephant has a nicer shape than a standard 260 and the same balloon does the tapered the trunk, the fat body and the small bubble in the tail. Certainly making this elephant design would be easier with Tonya's method. The great thing about ballooning is there are unlimited ways to achieve the same thing. A reasonable bunny rabbit but my effort resulted in a slumped over head and wasn't particularly great. This model uses two 321Qs to construct the ears, body and head. My effort is not exactly like Tonya's original but this model is certainly one of my least liked from the entire collection. This monkey is much better but it is hard to see how the 321Q adds value to the model. 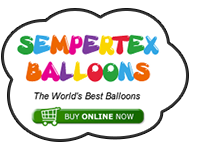 This can be constructed easily with other regular balloons. I really like this pig design. The snout is good and it sits nicely. Quick to make and effective. This photo is dreadful and really doesn't show the body shape for the squirrel. It is comparable to the Beaver design and is actually pretty good. A much better bunny design that the previous one. Nice long ears and can be worn as a bracelet. An example of how small variations of design and colour can be used to create a different model. A good shark and nice use of a 321Q. I made this tortoise for a gig and it was very popular with the ladies. Some simple artwork on the shell is effective. This is a model I have made multiple times and got many requests at the gig I made it. The same design as the previous tortoise but a male version. They go well together as a couple. The final design in this collection is a unicorn - a variation on the earlier horse. 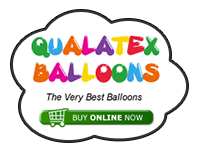 With around 24 designs and variations based on the 321Q balloon, this collection offers exceptional value for money. As with all Tonya's work the instructions are accurate, easy to follow and professionally done. Whilst a really valuable collection of designs I was left unexcited which was quite the opposite to Tonya's other publications (see previous reviews). I admire Tonya for taking a new balloon and experimenting with it. I got more value from these designs in terms of thinking how to use 321s in the future rather than having 24 models to go straight into my repertoire. I don't want this review to seem negative - it's not - but with a track record like Tonya, it is not easy to have a no 1 album every time. If you feel I am being unfair, remember my reviews represent my own opinion. Speak your mind and share your thoughts! Thank you for reviewing Tonya's ebook for us and giving us your thoughts on the models. I was playing with my own 321's this afternoon at a wedding reception and deliberately trying to use them on everything I made. Some of the designs changed quite a bit from using 260/360s etc, some for the better and some unfortunately for worse. 1 idea I had was to change the Guard and Grip on the basic sword design. Though it uses more balloons in it's construction the hilt is improved considerably. I'm not sure however that I either could or would want to incorporate them into as many models as my geo's but I enjoyed playing with them. Sounds like you had fun. Making all of Tonya's designs left me thinking about 321Qs when I made my super size rabbit last night. I needed a carrot so I inflated the tip of a solid orange 321, twisted off just at the point where the main body started. I then added some 260 uninflated green balloons, cut in half and tied on the top. Added some artwork and all done. Very very effective. The kids loved having a rabbit with a removable carrot that they could pretend to feed the rabbit with. In the very unlikely event that anyone wants photos and instructions on how to make the carrot let me know!